August 20, Hungary’s national holiday, commemorates the foundation of the medieval Kingdom of Hungary by the country’s first legendary king, Saint Stephen. He was canonized on the 20th of August, 1083 by Pope Gregory VII. 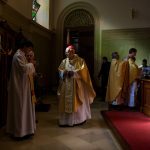 For the first time, the festivities started on Saturday and events celebrating Hungary’s statehood were held over the course of three days. Why do we celebrate August 20? On the 20th of August, Hungarians commemorate the foundation of their 1000-year-old state and their first holy king, Saint Stephen – hence the name ‘St. Stephen’s Day’, also known as Foundation Day, Constitution Day and the ‘Day Of The New Bread’. St. Stephen was the first king of Hungary, starting his reign in the year 1000. He laid the foundation of the state by converting his people to Christianity. First, Stephen defeated his pagan uncle, Koppany in a major battle earning him the throne. Next, he applied to the sitting Pope Sylvester II and was recognised as a true king and given a royal insignia that many believe was incorporated into the physical crown of Hungary. He led the nation into Christendom, consolidated the kingdom, moved towards a feudal-style state, and even adopted Latin as the official language of Hungary. On 20 August 1083, King Stephen was declared a Catholic saint, and his relics were moved to Budapest, which is the reason behind the date of Hungarian Saint Stephen’s Day. In 1771, Queen Maria Theresa declared the day a national state and church holiday. The celebration was secularized during communist times and from 1945 to 1990, the holiday was simply known as Constitution Day and commemorated the foundation of the communist regime. Since the change of the regime in 1989, it has been observed annually on the saint’s feast day and commemorates the foundation of the Hungarian state. A number of traditions – such as the blessing of the new bread – are tied to 20 August as it’s considered the country’s most important holiday. Besides official commemorative events, there are plenty of exciting things to do all day long for locals and tourists alike, and especially for families with children. The festivities started on Saturday and Sunday with concerts and gastronomic events, but the main, official celebrations will be held today. As usual, the day will kick off with a series of state ceremonies at Kossuth tér in front of the Hungarian Parliament. The day will begin with a military and air-force demonstration; the raising of the Hungarian flag at 8:30 am; speeches by the Minister of Defence Tibor Benkő and President János Áder and will continue with the swearing-in of new military officers. The House of Parliament will open its doors to visitors, and even include a visit to St. Stephen’s Holy Crown. During the day, the Festival of Arts and a gastro promenade will be held at the Várkert Bazaar with a lot of Hungarian specialties available for visitors to try, as well as the winning bread from the St. Stephen’s day bread contest. This year’s gastronomic festival will focus on Hungarian coffee houses and spices. The blessing of the bread will be held at Buda Castle. The cake of the year, also known as Hungary’s birthday cake, along with a sugar-free cake – both selected after successfully winning the annual competition – will also be served during the national holiday. The day ends with a spectacular, almost half-hour long, fireworks display over the Danube at 9 pm. This event is traditionally the most popular part of the August 20 festivities in Hungary. Usually, tens of thousands are watching the show while standing on the river banks and the colorful show is also covered live on public television. During the National Holiday, several road restrictions will affect major transport routes in both Buda and Pest. Danube bridge and public transport service changes will be in place in the capital. Metro line M3 operates on all days of the long weekend between Lehel tér and Kőbánya-Kispest. Operating hours on metro lines M2, M3 and M4 will be extended until half past midnight on Sunday. 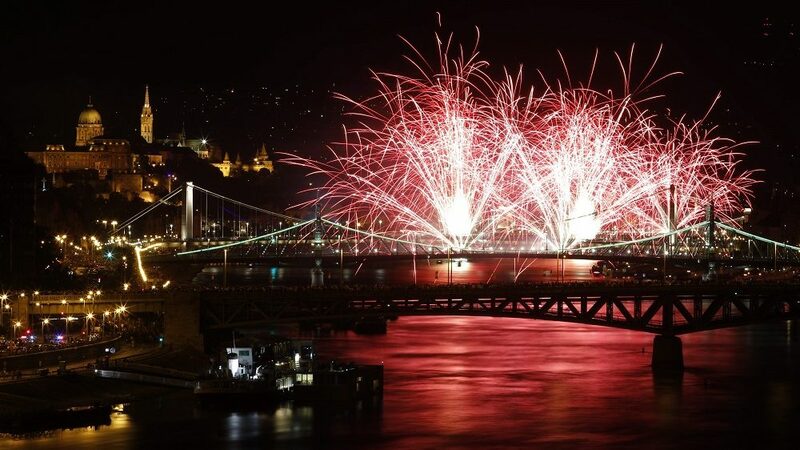 The Chain Bridge and the tunnel will be closed to traffic until the 21st, and Erzsébet Bridge and Margaret Bridge will not be accessible on the national holiday. Numerous other roads will be closed as well due to the celebrations and preparations. Because of the concerts, Szent Gellért embankment in the direction of Szent Gellért tér will be closed between Hegyalja út and Rudas Fürdő until 18:00 on 20 August. The Buda embankment between Margit híd and Rákóczi híd bridges will close, and the Pest embankment between Havas utca and Margit híd will not be accessible from 7 am on 20 Aug to the morning of 21 August. According to the weather service, the weather will be calm, hot and summery. These are the perfect conditions for the fireworks, which usually attract 650,000-700,000 spectators. However, immediate intervention is possible given any sign of danger at the events, government spokesman Zoltán Kovács said Thursday. Kovács, the head of the national operative staff in charge of preparing the events, told public news channel M1 that in addition to an operative body overseeing events in Budapest, the police will also have a national body monitoring the more than 250 events linked to the national holiday. 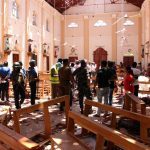 He promised that this would prevent the reoccurrence of 2006’s tragic events wherein a storm caused fatalities and significant damage during the evening fireworks display. The weather service will send reports to the operative staff every ten minutes and any special development or traffic incident will also be immediately reported.